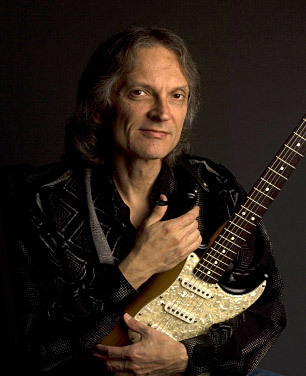 For his first all-instrumental album, slide guitar master Sonny Landreth assembled an extraordinary group of musicians that included guest guitarists Joe Satriani and Eric Johnson, steel drum legend Robert Greenidge and members of the Acadiana Symphony Orchestra directed by Maestro Mariusz Smolij. With elements from many different musical influences - Rock, Blues, Classical, Zydeco, Country, Jazz and Reggae - Landreth's melodic and harmonically rich compositions shift seamlessly and astonishingly to make this his most diverse and adventurous work to date. -- This text refers to an alternate Audio CD edition. 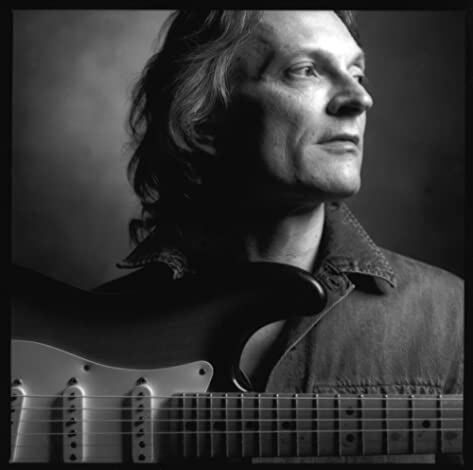 Guitarist, songwriter, and singer Sonny Landreth is a musician's musician who is best known for his signature slide playing. Landreth developed a technique where he frets notes and plays chords and chord fragments behind the slide while he plays. He plays with the slide on his little finger, so that his other fingers have more room to fret behind the slide. He's also known for his right-hand technique, which involves tapping, slapping, and picking strings, using all of the fingers on his right hand. His distinctive guitar playing can be heard on recordings by John Hiatt, Leslie West and Mountain, and other rock & rollers. Born February 1, 1951 in Canton, Mississippi, Sonny and his family lived in Jackson for a few years before settling in Lafayette, Louisiana. His earliest inspiration came from Scotty Moore, the guitarist from Elvis Presley's band, but as time went on, he learned from the recordings of musicians and groups like Chet Atkins and the Ventures. "When I finally discovered Robert Johnson, it all came together for me," Landreth said, noting that he also closely studied the recordings of Skip James, Mississippi John Hurt, and Charley Patton. After his first professional gig with accordionist Clifton Chenier in the '70s Landreth struck out on his own, with two albums for the Blues Unlimited label out of Crowley, Louisiana, Blues Attack in 1981 and Way Down in Louisiana in 1985. The second album got him noticed in Nashville, which led to recording and touring work with John Hiatt. He has recorded eleven albums on his own, and has worked with John Mayall, New Orleans bandleader and pianist Allen Toussaint, Jimmy Buffett, Eric Johnson amongst others. His latest release Elemental Journey has been described as a "masterpiece of fluid music" and features guest stars Joe Satriani, who delivers an astonishing, ferocious solo on the opener “Gaia Tribe,” and the returning virtuoso Eric Johnson casts his seductive spell on the dusky dreamscape “Passionola”. Steel drum master Robert Greenidge brings his magical overtones to the balmy, swaying “Forgotten Story.” Elemental Journey, his first all instrumental work is his most adventurous to date, and will be released in May 2012. Louisiana slide guitar wizard Sonny Landreth releases his 11th album on the 28th May 2012. Distinct from his previous albums, Elemental Journey is Sonny’s first all-instrumental outing and features a stellar guest line-up including Joe Satriani, Eric Johnson and steel drum master Robert Greenidge. With Landreth as producer and engineer Tony Daigle on the mixing desk, the album also includes drummers Brian Brignac, Doug Belote and Mike Burch working with Sonny’s long-time band members, bass player Dave Ranson and keyboardist Steve Conn. Hearing the first bars of "Gaia Tribe," the opening track for Sonny Landreth's Elemental Journey, I was reminded of some of my favorite '70s guitar instrumentals. As the strong, muscular melodies of the album progressed, I kept thinking of Ritchie Blackmore's "Still I'm Sad," Ronnie Montrose's "Town Without Pity," and Eric Johnson's "Cliffs of Dover." Not surprisingly, Johnson himself is one of the guests on Landreth's 11th album, repeating what the duo did together on 2008's "The Milky Way Home." But what might surprise Landreth fans is that this all-instrumental collection doesn't sound like the slide virtuoso's trademark Southern blues. There's nothing here to evoke his work with Jimmy Buffett, Vince Gill, or John Hiatt. Rather, it's an exhibition of melodic guitar showmanship that's, well, very reminiscent of classic rock anthems from the mid-'70s. Of course, the more direct influences are from contemporary events in Landreth's home region of Mississippi and Louisiana. These include Landreth's responses to Katrina, Rita, and the Gulf of Mexico oil spill. The basic players have been with Landreth for some time. Dave Ranson (bass) and Steve Conn (keyboards) are joined by alternating drummers Brian Brignac, Doug Belote, and Mike Burch. In addition, Joe Satriani contributed much of the fire in "Gaia Tribe," Johnson added his unique lyrical lines to "Passionola," and Robert Greenidge hammers on his steel drums to the Trinidad-flavored "Forgotten Story." Five tracks are also supported by members of Lafayette's Acadiana Symphony Orchestra, conducted by its music director, Mariusz Smolij. As Landreth observed in publicity for the album, when there is no singing voice, the themes have to be even stronger to inspire imagery. Intentionally, Landreth's layered approach allows for musical dialogue between the instruments that often becomes subtle and sophisticated interplay. While one guitar lead goes in one direction, another theme provides a juxtaposition drawn from a different style entirely. For example, "Wonderide" begins with a zydeco foundation that spins off into finger-picking classical guitar forms. "For You And Forever" sounds like a guitar and fiddle trade leads before turning into a more overtly jazz performance. On its surface, Elemental Journey is extremely listenable rock that isn't bombastic, experimental, nor seemingly innovative. Many tunes like "Heavy Heart Rising" and "Wonderide" sound like basic melodies in search of lyrics. But the smooth musicality of the offerings mask the complexity of the tight compositions weaving textures below the solos. The placement of the occasional strings, for example, add surprising dramatics under the electric instruments. And, of course, Landreth's trademark slide work, blended with his distinctive picking, provides depth and bended notes that don't always sound like they come from typical guitar tunings. So Elemental Journey is straight-forward entertainment as well as deceptively thoughtful musicianship. This isn't the blues-it's an affirming, triumphant declaration of how six strings and friends can tell tales without words. Elemental Journey is a soundtrack that movie listeners will need to visualize for themselves.